Jessica James Consulting bridges the gap between the for-profit and non-profit sectors by developing and executing innovative partnerships, streamlined corporate social responsibility (CSR) programs, and more effective fundraising strategies. JJC develops mutually meaningful partnerships in which the non-profit receives human capital, financial resources, and the ability to amplify their reach, while the corporation builds their culture, tells their brand’s story in a new and compelling way, and ensures their efforts make a measurable impact in the community. Jessica is deeply passionate about helping companies realize their potential in positively impacting their communities and making a real difference in the lives of their employees. Jessica's approach is to learn what is important for your company, what you and your employees value. She then works very diligently to find the right non-profits to support. Through this very personal and customized approach, Jessica strengthens the relationships that companies and their employees have in the communities they serve and creates sustainable, long-term partnerships. Fran Della Badia, Chief Executive Officer, Worth Collection, Ltd.
Why does this matter to my company or non-profit? Our country is at a crossroads. The future of a thriving economy and entire non-profit sector hinges on the success of cross-sector partnerships. Non-profits are seeing a decrease in traditional funding streams, including institutional foundations and government support, and need to build long-term corporate partnerships in order to thrive. Companies are realizing that corporate social responsibility is not a side project but a core component of a healthy business model. 90% of current business school students said they would be willing to sacrifice some percentage of their future salary to work for a responsible employer. Companies with strong sustainability programs had 55% better morale; 43% more efficient businesses processes; 43% stronger public image and 38% better employee loyalty. Consumers stated that they have a more positive image (93%), are more likely to trust (90%) and are more loyal to (88%) companies that support social and environmental issues. Sustainable, responsible and impact investing accounted for $8.7 trillion in 2016, an increase of 33% in two years. — Because companies have a unique opportunity to improve their communities and the lives of individuals within those communities. Jessica is inspirational, reliable, and has made an incredible difference to our colleagues. Not only is she effective, but Jessica's positive energy is contagious. She makes you want to be a better corporate citizen. Jessica James Consulting works with corporations to develop and execute streamlined, purposeful corporate social responsibility (CSR) strategies that recruit talent, retain employees, build the brand’s story, and drive the bottom line. JJC also supports non-profits in the development of corporate engagement strategies and volunteer opportunities that result in lasting and mutually beneficial corporate partnerships. Additionally, JJC works with individuals and families to create holistic philanthropic strategies that leverage their resources and passions for the greatest possible impact. Jessica excels in finding synergies between companies and charitable organizations that are not always straight forward. She understands the value of corporate responsibility beyond financial contributions, keeping the corporate brand's strategy at the top of her mind. Jessica also thoughtfully ties in employee satisfaction as a goal when pairing organizations which results in a more meaningful and fun experience for all involved. 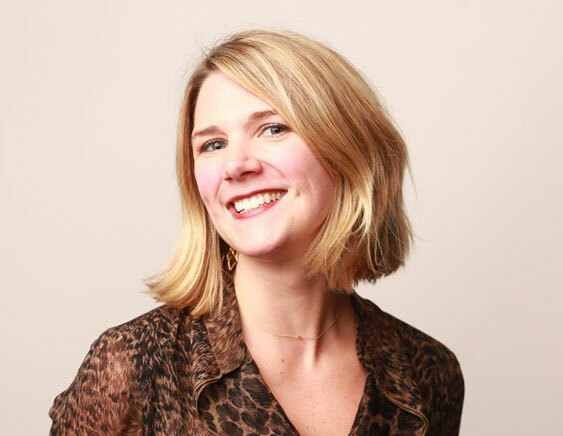 With over a decade of experience building meaningful and sustainable partnerships between nonprofits and corporations, Jessica has led hundreds of corporate engagement events and programs, connecting thousands of employees from the finance, media, beauty, fashion, real estate and technology spaces to clients from NYC's largest non-profits. Jessica has a vast range of experience and expertise within the non-profit space, having raised funds for Safe Horizon, Inwood House, Young Women’s Leadership Network and Grace Institute, in addition to the Obama for America Tri-State Finance Office in 2008. Jessica has a Masters in Social Work from Columbia University and a Bachelor of Arts from the University of Southern California. Jessica launched Jessica James Consulting in 2016 to support companies and non-profits in the exploration and execution of meaningful philanthropic partnerships that recruit and retain talent, build culture, tell the brand’s story, drive the bottom line, and make the most possible impact in the community. Jessica is a featured speaker at Support Center for Non-Profit Management, Non-Profit Coordinating Committee, Columbia University School of Social Work and South by Southwest 2018 and 2019 and serves on the Boards of Hand in Hand: The Domestic Employers Network and the Maplewood Library Foundation.